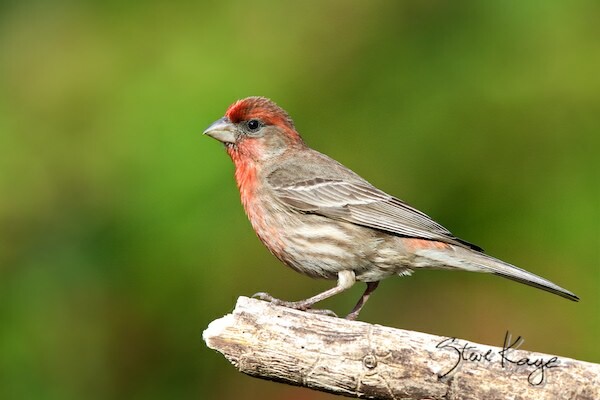 The House Finch is a common bird, found in parks and yards all over North America. They were originally native to the Southwest, living near streams, woodland edges, or chaparral. In 1940 New York pet store owners, who were selling the birds illegally, released the birds to avoid prosecution. This adaptive bird survived and developed a population that spread westward, eventually meeting its kin in the West. 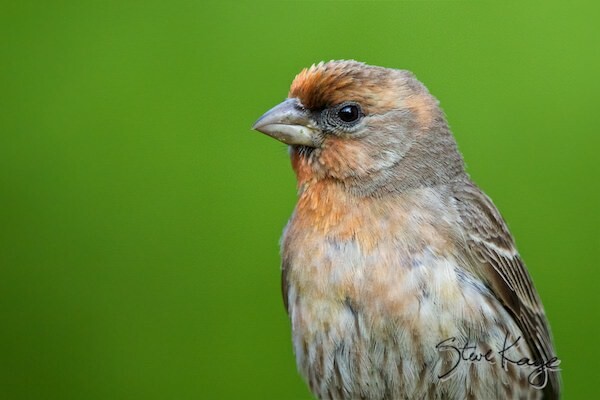 Now it has become so common that many people dismiss it as just another brown bird. However, if you ask them, they will tell you that they are a very important bird. 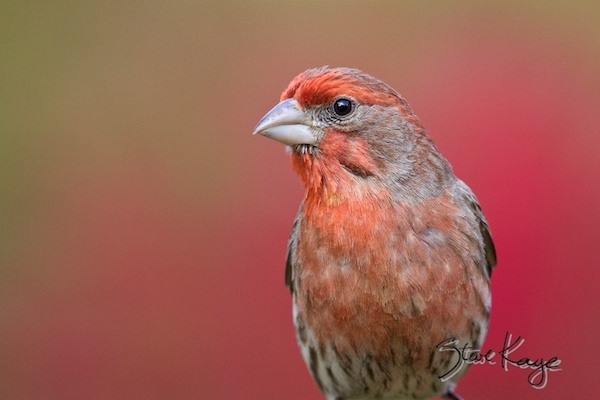 Since they frequent bird feeders, they have helped keep many pet store owners in business. And their song entertains people nationwide. They’re almost 100% vegetarian, eating seeds, buds, berries, fruits, and leaves. Occasionally, they’ll catch a bug to provide protein for a nestling. Welcome to this photo celebration. 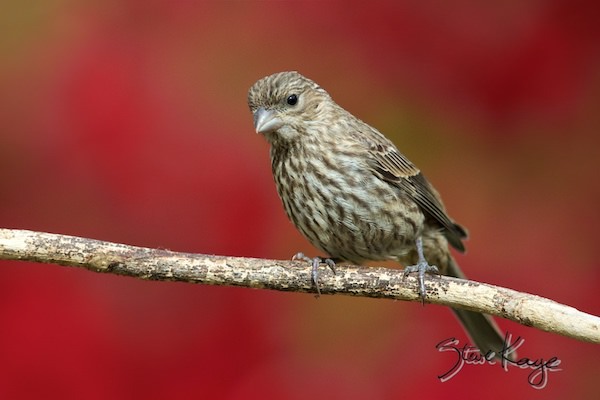 The female is a plain brown bird. She can compensate for this by posing against colorful backgrounds. 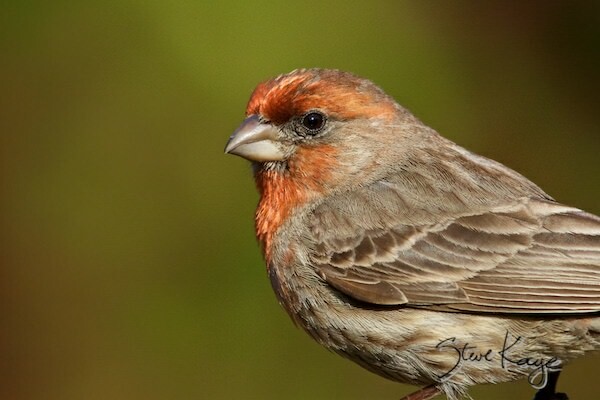 The male can appear with colors ranging from pale orange to bright red. 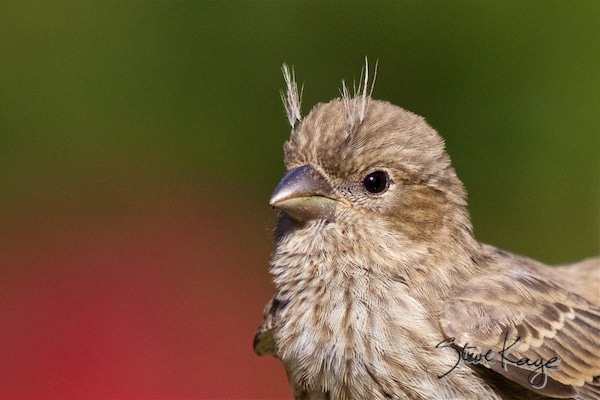 Juveniles have a remnant of downy feathers. And if you look carefully, you’ll see a bit of orange/yellow in the corner of their bill. This is most easily seen when examining enlarged versions of photos.